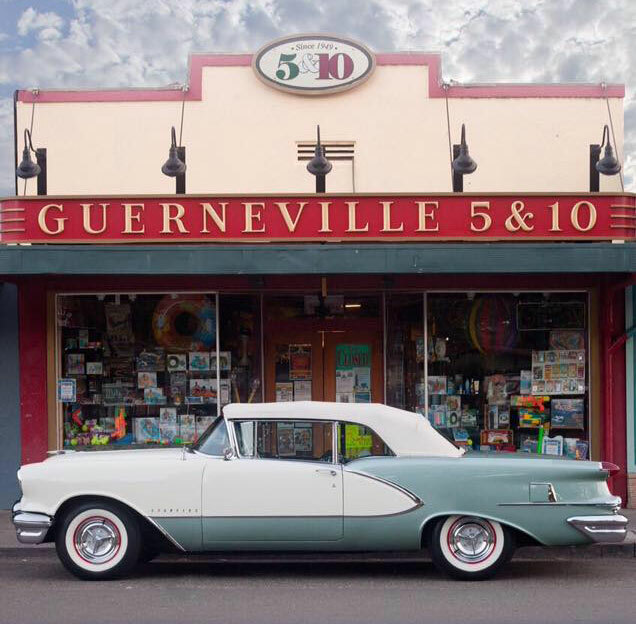 Guerneville 5 & 10 - The Fun Store | A Russian River Tradition Since 1949! Since 1949, the Guerneville 5 & 10 has been a Russian River tradition. Located in the heart of downtown Guerneville, this classic dime store is welcoming a whole new generation of fans. From nostalgic candy and toys to Americana and collectibles, the Guerneville 5 & 10 is as ageless as the Redwood forests that surround it. In the age of “Big Box Store” takeovers, the Guerneville 5 and 10 has continued to thrive in this resort community. 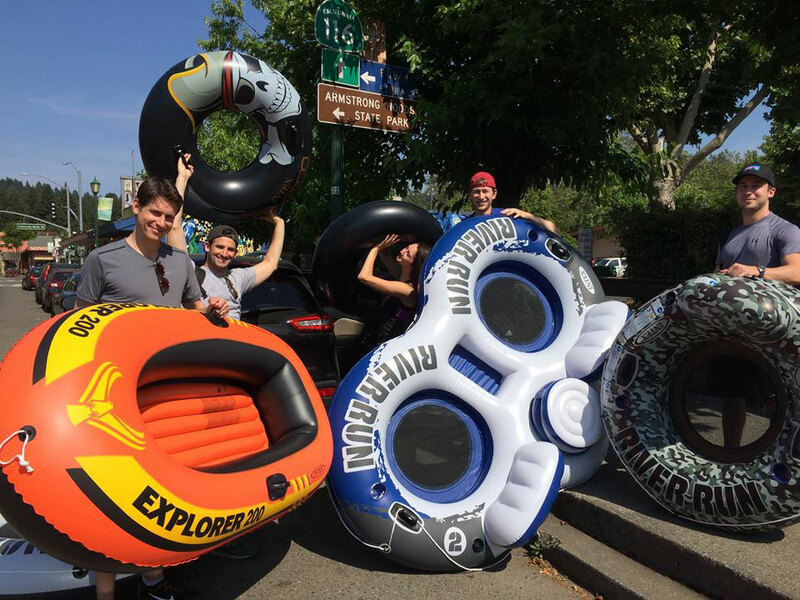 For visitors of this summertime haven, we carry all of your river play needs. From 3 person boats to baby floats, river shoes and flip flops, to sunscreen, towels and apparel, you’ll be ready to play. Like to knit or sew? Or are you an artist on vacation? No worries. We carry the latest in crochet and knitting accessories and yarn. And we have a full service sewing center where you can find all the buttons, thread, embroidery floss, needles and sewing tools you will ever need. For the artists we carry acrylic, watercolor and oil paints, brushes, kits, canvas and pads, and all your drawing tools as well. And for the crafters we have lot of craft kits and supplies you will need during your visit here on the Russian River. We also have added a huge greeting card section in the store. Want a good laugh? Need a wedding, anniversary, birthday, or special occasion card? We have them all. And we have lots of fun novelty and oddity items as well. Come visit us. You will be entertained and have a blast!!! !